About 80,000 Maryland voters were not properly registered to vote in Tuesday's primary election, officials announced on the eve of Election Day. Motor Vehicle Administration Administrator Christine Nizer initially said 18,761 voters weren't properly registered due to a computer error, but announced Monday that many more people were affected. No one will be barred from voting due to the error, officials said, but voters who weren't properly registered will need to cast a provisional ballot at the polling place associated with their current address. Provisional ballots must be counted in Maryland elections, but they won't be counted until July 5. "It's important for everybody to know that the results released tomorrow night are for Election Day and early voting only," said Margie Roher, a spokesperson for the Montgomery County Board of Elections. 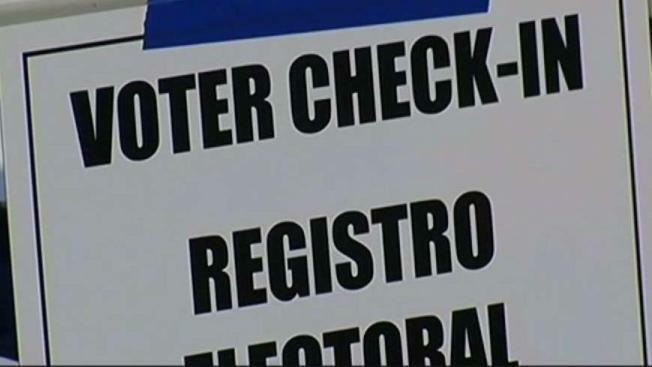 State transportation and elections officials say affected voters need to verify their voter registration information using the state elections board website, so they can use provisional ballots on Tuesday. Contact the Maryland Board of Elections between 7 a.m. and 8 p.m. at 1-800-222-8683, email info.SBE@maryland.gov or visit the website to find your correct polling place and verify your eligibility. MVA Administrator Christine Nizer says that in the urgency to inform the public due to the imminent primary, the numbers initially reported "did not accurately reflect the total scope of the people impacted." The MVA first said about 18,760 people were affected. Two Maryland lawmakers are now calling for Nizer's resignation. The State Board of Elections has sent 74,000 emails in an attempt to warn voters about the issue. Gov. Larry Hogan directed the MVA to conduct a review and ordered leadership to be available for legislative hearings, the Governor's Office said in a statement. "Our administration is obviously incredibly disappointed that this happened. What matters most is that every eligible voter will be able to vote, and every vote will be counted," the statement said. Rich Madaleno, who is running in the Democratic primary for governor, issued a statement calling the issue a catastrophic failure. "The chaos being created by this failure subjects real harm to our most cherished democratic values. Literally hundreds of decisions of who are nominees will be have been needlessly put in limbo," the statement said.